Experts predict that the next big epidemic is just around the corner. But are we prepared for it? And could we actually prevent it? AIDS. Ebola. Bird flu. SARS. These and other epidemics have wiped out millions of lives and cost the global economy billions of dollars. Somewhere out there, a super virus is boiling up in the bloodstream of a bird, bat, monkey, or pig, preparing to jump to a human being. This as-yet-undetected germ has the potential to kill more than 300 million people and reduce global GDP by 5–10%. That risk makes the threat posed by ISIS, a ground war, a massive climate event, or even the dropping of a nuclear bomb on a major city pale by comparison. 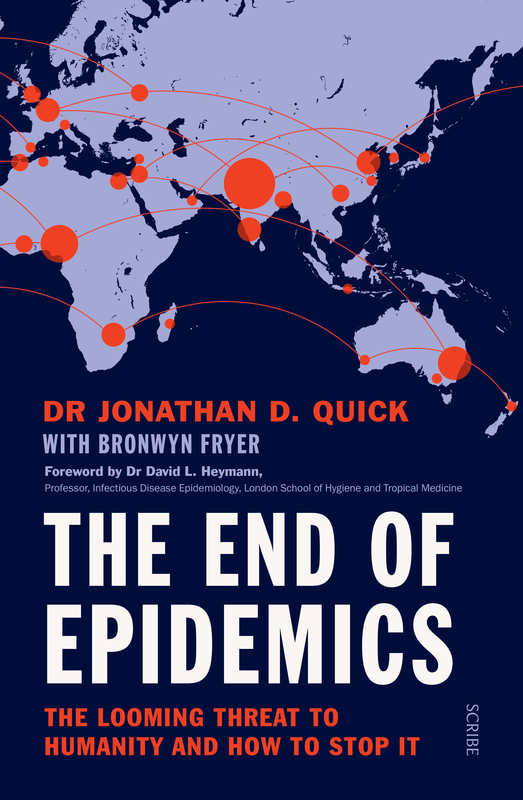 In The End of Epidemics, leading public health authority Dr Jonathan D. Quick tells the stories of the heroes, past and present, who’ve succeeded in their fights to stop the spread of illness and death. He explains the science and the politics of combatting epidemics. And he provides a detailed seven-part plan showing exactly how world leaders, health professionals, the business community, media, and ordinary citizens can work together to prevent epidemics, saving millions of lives.